THE PETROLEUM industry has condemned an anti-coal seam gas activist training workshop conducted in Lismore this week as a "new low" in the debate. 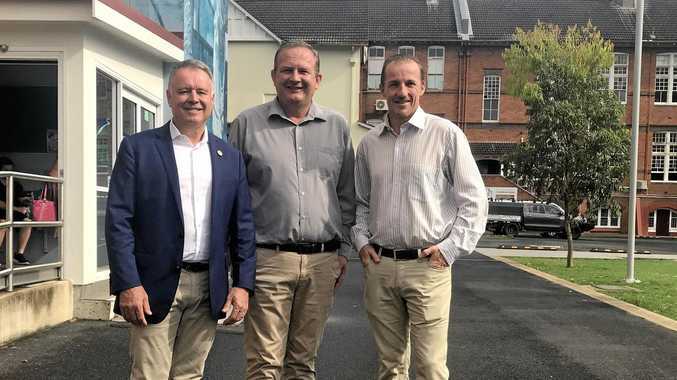 Brisbane-based Australian Petroleum Production and Exploration Association Ltd chief Rick Wilkinson accused the workshop's organiser, environmental activist Aidan Ricketts, of using the industry to promote himself and his new book. "CSG appears to be just another fad cause for career campaigners and professional activists," Mr Wilkinson said. "The workshops appear nothing more than a book-selling exercise. "I would encourage residents to scrutinise the motives of those who seek to speak on their behalf. "We'll continue to highlight what the industry is doing to provide a cleaner energy source - natural gas - to Australia and the world." Mr Wilkinson said you only had to look at the Western Downs of Queensland for proof that companies and landholders could happily co-exist with the economic benefits flowing to the entire community. Mr Ricketts, a lecturer at Southern Cross University, said it was ironic that a powerful lobby group such as the petroleum industry would object to him helping the community. "We all know the billions of dollars that the mining industry has to employ consultants and publicity firms and yet they object to a local author working in his own community to help people find a voice," he said. He said his book, The Activists Handbook, was on sale at the workshop on Thursday night at Lismore Workers Club, but said this was appropriate as it was on topic. About 80 people attended the workshop which included role plays of how to deal with common scenarios faced during protests. Mr Ricketts said he had been inundated with requests to stage the workshops and would do so.